Goa Nature at its BEST!!! Pick-up and Drop to Railway Station / Airport (Additional cost for Vasco and Madgaon Railway station). Transfers and sightseeing by an AC vehicle. On arrival at Goa Airport/ Railway Station, you will be transferred to the hotel. You may relax at the hotel or can walk down the nearby shopping stalls or market area. 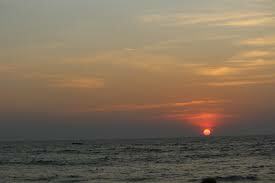 Evening will be free for leisure where you can take a walk to take a glimpse of Goa culture. Overnight accommodation at the Hotel. After Breakfast proceed to the Queen of Beaches – Calangute. Visit the famous Vagator beach, famous for its soft white sands & a scenic view of the Arabian Seas & eye pleasing coconut palms. We will take you onwards to visit the Anjuna Beach, famous for its very happening WEDNESDAY FLEA MARKET. Baga Beach visit & return to hotel. Overnight stay. Panjim To Miramar: Miramar Beach also known as Gaspar Dias is a lovely golden beach of soft sand griddled with palm trees facing the blue Arabian Sea, where River Mandovi meets the Arabian Sea and a thick grove of shady palms form a dense canopy over the area. Dona Paula: This is a very popular tourist spot by the sea off the shoreline about 9 kms southwest of Panaji lying along the south side of the headland that lies between the estuaries of the Zuari and the Mandovi rivers as they merge with the Arabian sea . Panaji – Market : You can enjoy a trip in the Panjim Market area. Old Goa Church: There are a number of churches in Goa built by the Portuguese. Many magnificent churches were built by them in Old Goa which is well known for its churches. The Old Goa churches remind of its former glory that once rivaled that of Rome. It was known to the world as ‘Golden Goa’ or ‘Pearl of the Orient’ in 16th and 17th centuries in its glory days. Shri Shantadurga Temple : Dedicated to Goddess of peace, who mediates between Lord Shiva & Lord Vishnu. One of the richest temples of Goa. River Cruise Ride : You may enjoy the cruise ride, a pleasant, calm & cool journey of River Mandovi, while you watch the lively culture of Goa, in song & dances like “Dekni, Fugdi, & Portuguese Correndinho with Live Music. Return back to hotel. Overnight stay at the Hotel.